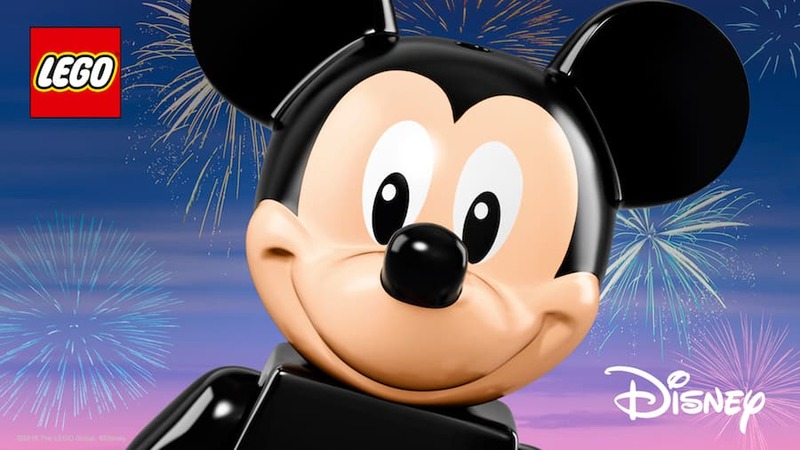 We are coming up on Mickey Mouse’s 90th birthday on November 18th, 2018! Celebrations will be going on around Walt Disney World, including fun coming to Disney Springs. One of the fun events coming to Disney Springs is the LEGO Mystery Build, which will celebrate The Big Cheese, himself. It will take place November 16th through 18th at the LEGO Store in Disney Springs (and Downtown Disney in California) where guests will be able to contribute to a LEGO mural. The mural will come together to reveal new artwork celebrating Mickey as the blocks are added. Art of Disney: Hostinga “Celebration of the Mouse” Artist Event on Friday, November 16th. Guests will have the opportunity to meet acclaimed Disney artists Brian Blackmore, Doug Bolly, Don “Ducky” Williams, and Darren Wilson from 6PM through 9 PM EST. Curl by Sammy Duvall: Guests can find watches featuring “Mickey the True Original” by Nixon as well as a Mickey and Minnie-inspired shoes from the new “Disney x Vans” collection. The Dress Shop on Cherry Tree Lane at Marketplace Co-Op: New Mickey Mouse Dooney & Bourke Bag and a matching “Mickey Through the Years” dress and MagicBand will be on sale November 18th. Ever After Jewelry Co. & Accessories: Featuring a Mickey’s Birthday Watch and a Sugarfina co-branded release, both available on November 17th. Joffrey’s Coffee & Tea Co.: There is a Mickey’s 90th Anniversary Blend, which is a smooth, medium-roasted coffee that is part of the new “Disney Coffee Collection” coming soon to select Joffrey’s stores nationwide. Havaianas: New collection launching that features illustrations representing each decade of Mickey Mouse. The Opening Edition Style, featuring a mix of two icons with the signature Havaianas striped sole and Mickey Mouse ears, will launch on Mickey’s birthday on November 18th. Lacoste: At the location, the store windows are dressed with the newest “Disney | Lacoste” fashions featuring an exclusive collaboration around the merriest of tennis matches. On November 18th, 2018, the retailer will host an in-store event with fun photo backdrops, candy, and more. Levi’s: There will be an opportunity to purchase a limited-edition Mickey Mouse hat, part of the new collection. Melissa Shoes: The location debuted their new “Celebrate 90 Years of Mickey Mouse” shoe collection with designs for both kids and adults. PANDORA: There is a limited-edition Disney dangle charm in sterling silver, detailed with a 14k gold number “90”. Disney illustrator Robert Griggs will be at the location on Sunday, November 18th and during the event, guests will receive a special illustration featuring Mickey artwork. 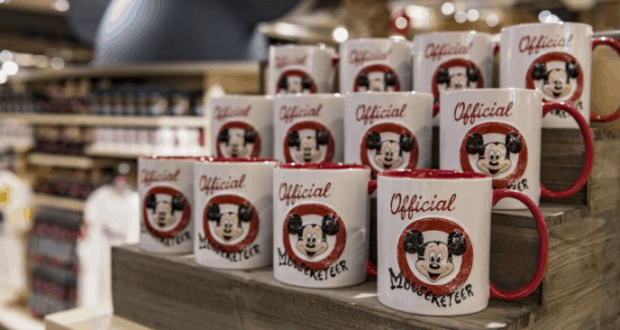 WonderGround Gallery at Marketplace Co-Op: Location will host a “Celebration of the Mouse” Artist Event November 16th through 18th and December 7th through 9th. WonderGround artists Dave Perillo and Kristin Tercek will be available to meet Guests and sign their newest Mickey pieces November 16th through 17th from 6 PM to 9 PM EST and November 18th from 12 PM to 3 PM EST. Matt Hawkins and Bill Robinson will be there on December 7th through 8th from 6 PM to 9 PM EST and December 9th from 12 PM to 3 PM EST. World of Disney: On November 17th the location will offer event tees, commemorative Mickey plush and a new Sugarfina co-branded product release, all available while supplies last. Zara’s: “Mickey’s 90th Anniversary!” collection will be available, offering an assortment of T-shirts, leggings, sweats, and accessories for kiddos. Which merchandise are you most excited for?